Eastern Orthodox Church leaders celebrate and explain the nuances of their faith in Eastern Orthodox Theology, a collection of readings for those who wish to better understand key aspects of the Orthodox faith, such as liturgy and sacraments, tradition, the mystical encounter between person and God, and relations with other branches of the church.In this new edition, two new articles have been added to update the section on Orthodoxy's relationship with the West. Articles from Timothy Weber (the only non-Orthodox contribution) and Bradley Nassif address the growing interface between the evangelical and Orthodox traditions. 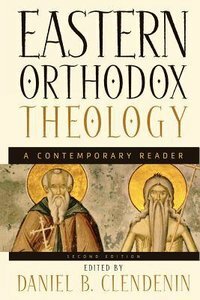 About "Eastern Orthodox Theology (2nd Edition)"
Daniel B. Clendenin (Ph.D., Drew University) works with Intervarsity Graduate and Faculty Ministries at Stanford University. He previously served as visiting professor of Christian studies at Moscow State University.